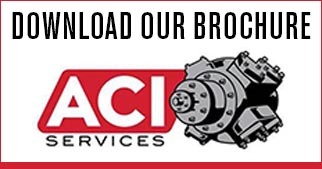 Custom Compressor Cylinders - ACI Services, Inc.
ACI can build cylinders to your specifications or to match OEM specs and the new cylinder body can often utilize existing valves, piston and rod assembly, packing case. The new cylinders maintain the same centerline dimensions as the existing cylinder which allows the existing bottles to be reused and minimizes the capital cost to install new cylinders. ACI has developed a standard replacement for aging, unsafe and troublesome valve-in-head cylinders. ACI’s new valve-in-barrel cylinder is a bolt-in replacement. Mounting, bottle, flange connections and supports don’t have to change. Significant cost-savings can be achieved when refurbishing existing compressor cylinders versus buying new ones. With over 300 cumulative years of reciprocating compressor experience, ACI is simply the best source for reapplication, revamping or upgrading existing compressor equipment.